South Prairie Road, Columbia Gorge, WA, 7/2014. Sometimes called “Sugarstick” or “Barber’s Pole”; this is certainly one of the odder-looking plants we’ve come across. Although Turner & Gustafson, in Wildflowers of the Northwest, call it “locally common”(and spell the common name in one word), we’ve only seen it once , and that, of course, was where Russ Jolley (our hero and author of Wildflowers of the Columbia Gorge) says to find it, right down to the milepost. 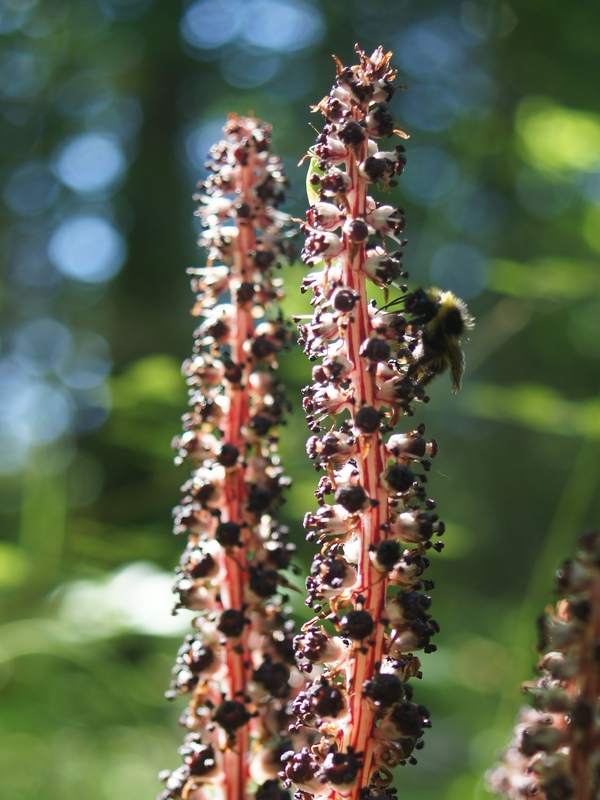 Like its mycotrophic relatives in the heath family, including Pinesap, Pinedrops and Indian Pipe, this plant lacks both chlorophyll and leaves, and uses complex relationships with a fungal intermediary to obtain energy from the roots of other plants. Glacier Lake Trail, Gifford Pinchot NF, WA, 6/2018. Happy Holidays from NW Wildflowers! This entry was posted on December 26, 2014 by nwwildflowers. It was filed under Cascades, Coastal, Columbia Gorge West, heath, June, orange/red, saprophytic/mycotrophic, shaded forests, Southern Oregon / Northern California, Unique to Northwest, white and was tagged with Columbia Gorge, flower, saprophytic/mycotrophic, Wildflowers.